Many young people simply can’t afford to put away the percentage of pay for retirement that experts often recommend. Seems to me it would be more realistic for them to start with whatever they can and then gradually increase that amount as their salary increases. What do you think? I think the recommendation that people starting out in their career try to put away 10% to 15% of their income toward retirement is generally sound (although I do have issues with some analyses that suggest people need to save a lot more than that). As you point out, however, many young people can’t handle that level of saving. In some cases the salary they earn early in their career isn’t big enough to allow for it. And even those younger workers who are making decent money may have other obligations, such as repaying student debt, that can make it difficult to save at the rate many pros recommend. But that doesn’t mean that someone in that position should throw up their hands and do nothing or assume they’ll have to settle for a diminished retirement. And in fact, I agree that the alternative you suggest—start with a lower savings rate and gradually work your way up to a higher target—is a perfectly reasonable way to go, not to mention very effective. 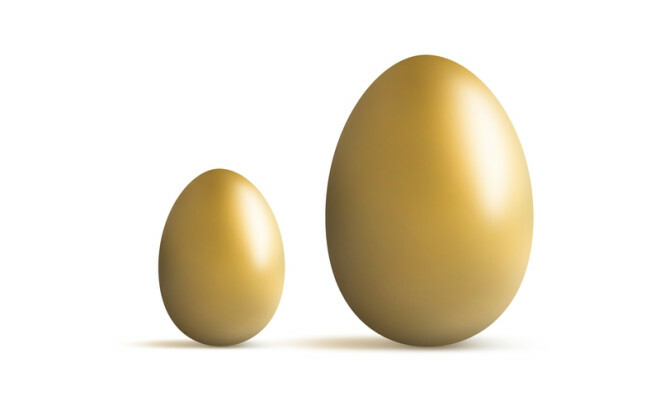 What Size Nest Egg Do I Need For A Long Retirement? Here’s an example: Let’s say you’re 25, earn $40,000 a year and receive 2% annual pay raises, but you can afford to save only 5% of pay. If you stick with that modest savings rate throughout your career, at 65 you would have a nest egg of almost $415,000, assuming your retirement investments earn a 6% annual return. That’s a considerable sum, and certainly more than many people will have at retirement. But assuming an initial withdrawal of 4% that’s subsequently increased each year for inflation, a nest egg of that size is likely to generate annual inflation-adjusted income equal to only about 20% of the salary you were pulling down just prior to retirement. Throw in Social Security, and maybe some additional income from other sources (part-time work, maybe a reverse mortgage) and you may still have a hard time getting to the 70% or more of pre-retirement income you’ll probably need to maintain your career standard of living throughout retirement. But look what happens if you systematically boost the amount you save. Let’s say that instead of sticking with 5% of pay, you save an additional 1% of salary each year so that by age 35 you’re saving at the 15% rate that many pros recommend. In that case, you would enter retirement with a nest egg of a little less than $1.1 million, or enough to create annual inflation-adjusted income of about $42,000, or just under 50% of your pre-retirement salary. After adding in Social Security and perhaps some income from other sources, you’re much more likely to be able to replace 70% or more of your pre-retirement salary, which means you have a good shot at being able to enjoy a comfortable and secure retirement. Now, by starting small and increasing your savings rate gradually along the lines outlined in the scenario above are you going to be as well off at retirement as you would have been had you saved 15% of pay from the get-go? Of course not. If the 25-year-0ld in the example above saves 15% of salary each year for 40 years, he’d have nearly $1.25 million at retirement, or almost $200,000 more than by starting at 5% and building to 15% over 10 years. That’s hardly surprising, as saving 15% a year from the very beginning allows you to sock away a lot more money in those early years. That said, there is a way for our hypothetical 25-year-old to narrow the gap, even if he starts at the 5% savings rate and builds to 15%. How? Well, if he stays on the job two more years, the extra savings contributions, plus the investment return on those contributions plus two more years of returns on the savings he already had would bring the value of his nest egg to just over $1.2 million, pretty darn close to the near $1.25 million he’d have by saving 15% of salary for 40 years. I don’t want to suggest you’ll be able to duplicate these results. Your results will depend in large part on whether you’ll have the financial ability, and the will, to stick to your savings regimen over many years (although these five tips may help). The eventual size of your nest egg will also vary depending on the level of savings you start with, how much and how quickly you increase your savings rate and how many years you have until you retire. 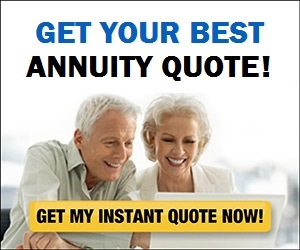 There’s also the issue of what return your retirement investments will earn. Many investment pros expect gains will be more modest over the next decade or so. But the point is that the sooner you start your savings regimen and the quicker you get to your target savings rate—whether by starting with a higher rate initially or by stepping your rate up more quickly than one percentage point a year—the larger the nest egg you’ll have come retirement time. To get a sense of how big an effect raising your rate can have on the size of your nest egg, check out the savings calculators you’ll find in the Saving For Retirement section of RealDealRetirement’s Retirement Toolbox. Finally, while it’s always a good idea to make sure you’re actually making progress toward a secure retirement, it’s even more important to do so when that progress depends on sticking to a series of increases in your savings rate over a period of years. You can see whether your plan of gradually boosting your savings rate is boosting your account balances enough to put you on track toward a secure retirement or whether you need to step up your efforts by periodically going to a retirement tool like T. Rowe Price’s retirement income calculator.